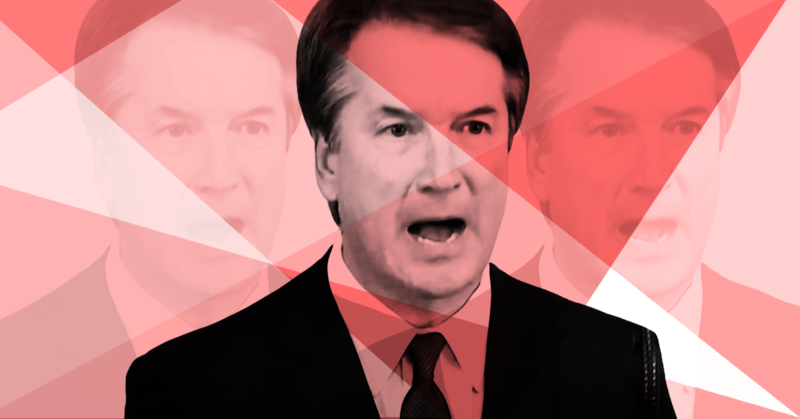 Judge Brett Kavanaugh’s Supreme Court confirmation hearing demonstrated that he will be a threat to abortion rights and would likely vote to overturn or curtail protections stemming from Roe v. Wade -- despite previous claims  by right-wing media to the contrary. 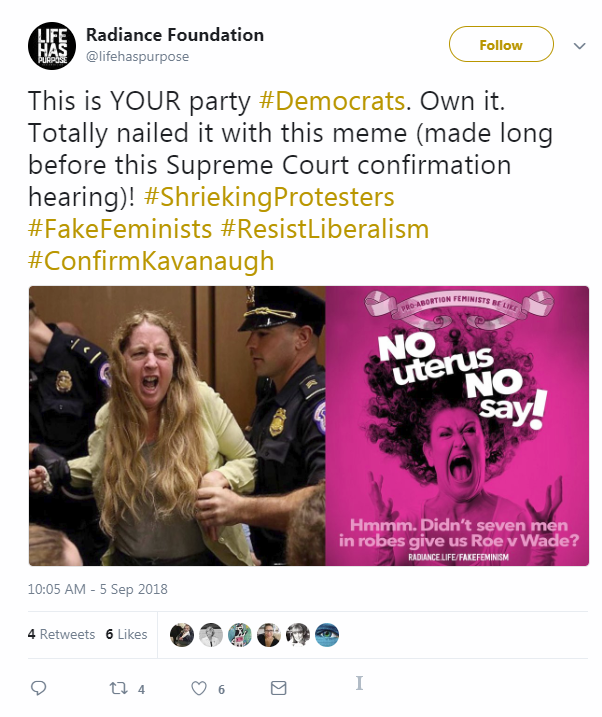 Abortion opponents reacted to the hearing by praising Kavanaugh’s position on abortion and reproductive rights, and by attacking pro-choice protesters and Democratic senators. Kavanaugh’s record also suggests  he would vote in favor of overturning Roe, or otherwise support further curtailing abortion rights. 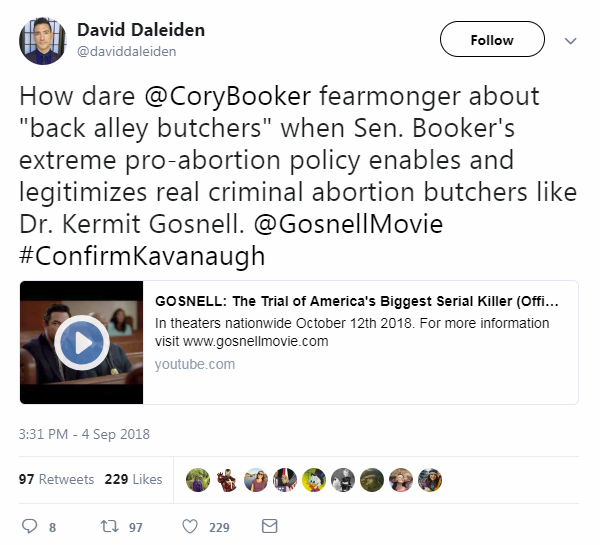 For example, in 2017, Kavanaugh opposed allowing an unaccompanied pregnant immigrant teen [called Jane Doe] who was in federal custody to have an abortion -- using language like “abortion on demand,” an inaccurate phrase frequently used by abortion opponents, to explain his decision. 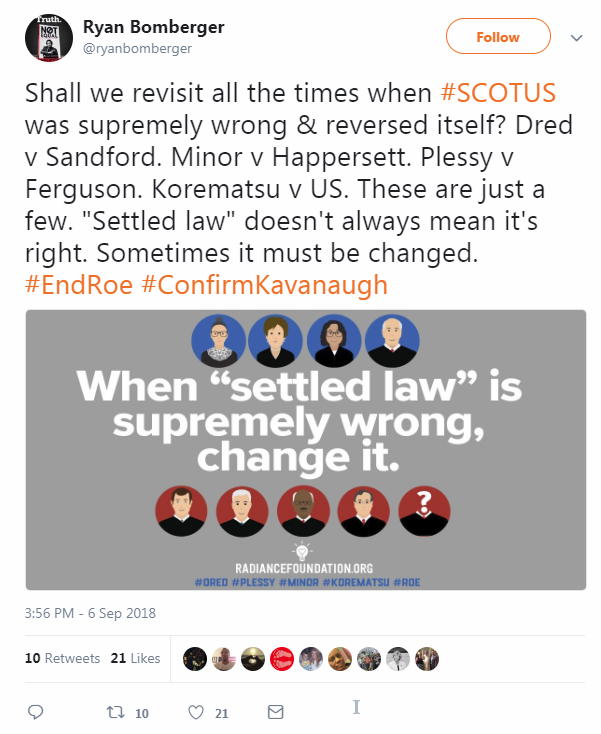 Kavanaugh also praised the late Chief Justice William Rehnquist’s dissent in Roe during a speech in 2017 -- which Mason Pieklo noted  made sense, given that Rehnquist’s dissent in Roe and Kavanaugh’s dissent in the Jane Doe case both “fundamentally [deny] reproductive autonomy all while purporting to be respecting the bounds of the law.” New York magazine’s Irin Carmon pointed to  Sen. Richard Blumenthal’s (D-CT) question about whether Kavanaugh’s language in the Jane Doe case “was a signal” to conservative organizations “that you were prepared, and you are, to overturn Roe v. Wade.” Carmon also indicated that Kavanaugh’s 2017 speech was another “signal” of the same sort. 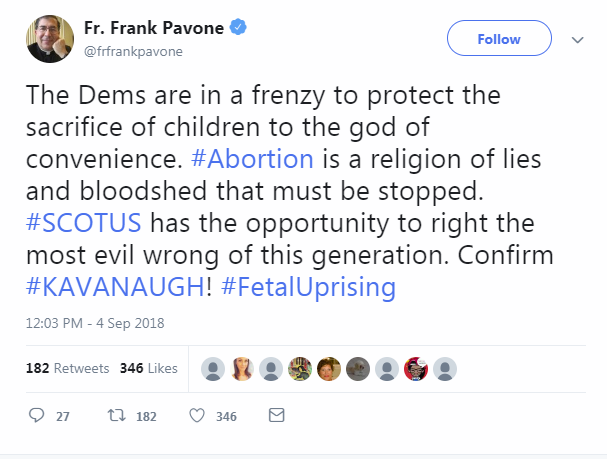 Right to Life of Michigan downplayed the impact of overturning Roe, tweeting , “When Roe v. Wade falls, it simply puts the voters and elected officials back in the drivers (sic) seat. What happens will be up to you, the voter, not five unelected, unaccountable politicians acting as judges.” In reality, overturning Roe will have devastating consequences  for abortion rights at the state level.